Big Fish Las Palmas Hostel i Gran Canaria, Spania: Bestill nå! As a woman traveling alone I felt very safe and welcomed when I arrived at Big Fish Hostel. There were so many nice people here so it was very easy to make new friends and find someone to hang out with:) thank you guys for making my stay here a blast! 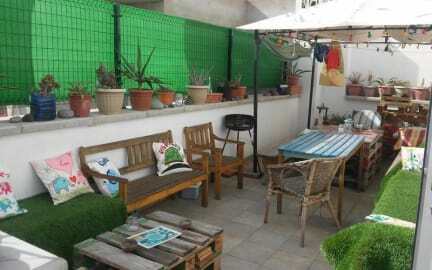 Overall a nice hostel with a great location! The kitchen is nice but not much of common area. And the hostel needs a bit of freshing up. Beginning to be a bit wore down.